Seemed fairly straightforward. We need to go for value on the river. This player isn’t good enough to get value when the board gets scary. They check back everything except flushes. Should we have lead the river? Absolutely. 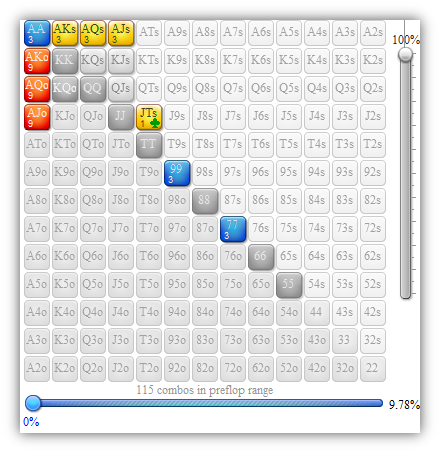 Checking is a disaster, especially when we played the rest of the hand so passively. We can bet/fold something like $100-$120 and get a crying call from sets, AK, maybe even AQ. Seems C bet range might be low. I know its multi way but a C bet may get villain heads up. In this case with the flush draw so I had villain C Beting gut shots BDFD and PP < TP over 70%. Also invert the Cbetting range and villain is going into turn with a lot of big under cards that will fold and PP below TP that wont be comfortable vs a donk bet. I may be a bit high betting so many BDFD maybe the correct play is somewhere in bertween. Thanks, good analysis. 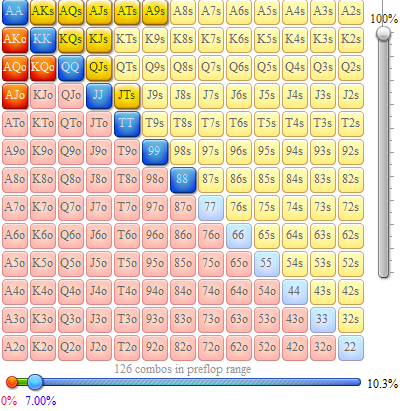 I re-did the hand with updated flop ranges. 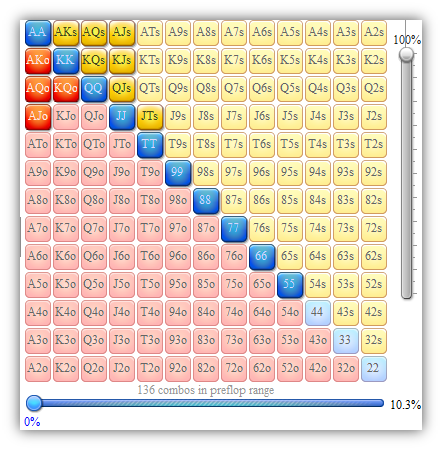 Frequencies look like: 66% cbet flop, 66% bet turn, checking behind with 80% on the river. Wait until you get to section three. Lots of fun Range vs range. I interpreted the weak TAG as playing a bit tighter in this dynamic because the "donkey" in the CO is running hot and the TAG doesn't want to get sucked out on. It seems perfectly reasonable to assume that the TAG reacts oppositely by opening his range to get into more pots with CO, but I went with the former since the TAG is described as weak. This player isn’t good enough to get value when the board gets scary. They check back everything except flushes. At the same time, they are probably not folding any of their range to a river bet as they are so value-heavy. Should we have lead the river? Yes, have to lead river. Villain is so value heavy and $1/2 will have so much trouble getting to the river and folding a value hand. How much are people betting on this river? are you allowing yourself room to fold? my ranges are almost identical to outlier's. I don't think a lot of weak tags will even bet the river with anything other than KQ or KJ of clubs. I have seen many nits just check those back, so I get to the river with very few flushes in their ranges. all that being said, I think I am going for 80 and a bet/fold line on this river. Im not really every expecting to get raised and have to fold, my reasoning for the 1/2 pot is that going for 150 into a weak TAG just gets us folds from a lot of his value hands and he owns us with flushes. I think we bet the size that targets the AQ/AJ portion of his range and gets crying calls from them. Somewhere between $60-$110, and i think there is quite a bit of elasticity in this spot with that portion of his range. If we bet $110 with only $60 behind, we can still comfortably bet-fold even though we are "committed" (in theory). In my experience we almost never get bluff-raised by anyone other than the very highest-level thinking players. 98% of tags won't consider a bluff-raise; especially true of this weak tag. Would Weak TAG CB into 4w pot w/..
Would MP1 double barrel w/..
TP w/ Non-nut kicker? I think he would yes. 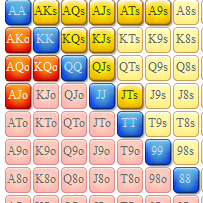 Being that I'm in the BB and didn't 3bet I don't have to have AK/AQ every time, I could have worse Aces that could call, JJ-TT, Kc9c, fd's, 8cTc. If he's a weak tag perhaps he knows at least a bit about what would call his flop cbet. 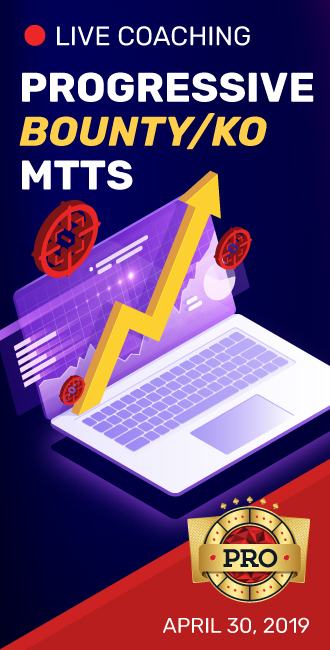 Does MP1 check or bet..
TP? I think being a weak Tag he's capable of checking back hands like AT-AJ, I would think he might be capable of betting thinly because of the flush to possibly get a call from a weaker Ace w/ intentions of folding to raise with hands as strong as AQ/AK, but more likely not since I assume that weak Tag implies tight and aggressive preflop but more inclined to lean towards passivity when it comes to river situations such as these w/ a few different hands I could have in my range. I think this is the type of player that would be more inclined to not want to risk getting raised. So yes he likely checks behind TP. Sets? Again I think that w/ this board texture in his thought process by the river he's likely fearful of draws that got there and wouldn't want to risk getting raised. Given that, should you have lead the river? Yes because I think those hands are still capable of calling at least a 1.5x PSB. Given that, should you have lead the river? No, because he is weak tight, he will not call with anything we beat. He will only call if we are wrong and he beats us. So I'm in the same boat with pretty much everyone else, slight differences in what we give Villain pre, but all seems to narrow down the same. EXCEPT: I don't see him barreling on the turn with less than AQ. I see him putting me on an Ace, and if I call flop I think he's worried I'd have AJ+. Small difference, doesn't change the end decision to bet on river, but just a thought. MP1 opens for four BB with a range of 19% (232 combos) JJ-88,AQo-ATo,KQo-KTo,QJo-QTo,JTo,AJs-A5s,KQs-K8s,QJs-Q8s,JTs-J8s,T9s-T8s,98s-97s,87s-86s. 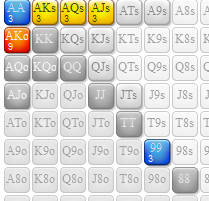 The weakest Broadway hand is JTo and the strongest pair to open is JJ. Think about the fork in his range. What does he do with AJ offsuit? Openraise or openlimp or fold? When the A of the 2tone is on the board this tight nits don't have many FDs in their range. FD with KcQc is only 1cb! Think about the 60% of the times that he CHECKS BEHIND. What possibilities does this give us on the turn? In general he will not give much action on the turn either. FD is standard double barrel. Maybe he can get his opponent of a 2nd or 3rdPair. Think about until which kicker he will 2ndbarrel his TP? On this drawheavy flopboard he will probably 2ndbarrel ALL his TPs. Split also thinks about that we xraise all-in. In Fold Equity Calculator we can put the figures in. If we think that he will only fold his FD versus our all-in, our equity is 26%. We need 43% of the times a fold to be break even. If we think that he will only fold his FD, an all-in raise is burning money. If we think that this weak TAG will only stack off with 2P , so he will fold all his TPs, an all-in is great. We have to think about which hands he will check behind. Split think that he will bet his sets even when the flush arrives. So sets are not in his check-behind-range. Most players are BINARY, that means they don't use weights. They don't for example 50% of the times bet TP Jkicker and 50% check behind TP Jkicker. For example AQ TP Qkicker they always bet for value. AJ TP Jkicker they always go for showdownvalue. In this spot we think that he will bet his TP with Qkicker and Kkicker. Versus this range we have 100% equity with our flush. This means your assumptions on previous streets were not correct. With the info you received on showndown, you now have to REFINE his ranges on previous streets. For example he shows up with 2Pair with 97s. That means that his openrange is much wider than you put him on. I would def bet this river large for value but I think a check raise earlier in the hand is better. A weak tag may fold an ace on the flop, and if he' s C betting worse than an Ace he surely will fold. The turn we pick up a gutter and still have enough to check raise all in. With the fold equity combined with making sure we get full value when we hit, I like a check raise.